There are many roofers in the Upper Midwest. If your structure needs repairs, it can be tricky to narrow down the choices. 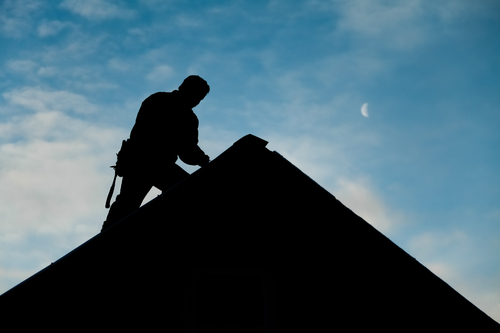 Below, you'll find a list of important questions to ask when hiring a roofing contractor. The information you receive in response should help you choose an experienced, professional company with a history of good service. What Should You Ask Before Hiring a Roofing Contractor? To protect yourself financially, ask about licensing and insurance. An up-to-date contractor’s license indicates the company is compliant with all state requirements. These are put in place for your protection, so it's telling if the contractor has skipped this step and foregone licensing. Also, liability insurance is crucial, since it protects your interests if the contractor damages your property. Without it, you could be held liable for the damages. Your best bet is to hire a contractor with considerable experience. Ask how long they've been in business and look for a company with at least a few years under their belt. Also, make sure they have experience working on roofs like yours. This is likely not an issue if you have asphalt shingles, but if you're hiring someone to work on clay tile or wood shake, make sure they know their way around the material. Ask a potential roofing contractor for the names and numbers of previous customers. An experienced, quality team should be able to provide several. Be sure to follow through and contact these references to make sure they are who the roofer claims and that they were, in fact, satisfied with the results provided. To hire a roofing contractor for installation or roof repair, contact Interstate Roofing & Waterproofing in Onalaska, WI. They use only the highest-quality roofing products and their experienced roofers provide fast, reliable work at an affordable rate. Call (608) 783-2106 to discuss your options with a friendly, helpful representative, or visit their website to submit a contact form.